Reminisce with your family and/or friends over dinner in your accommodations. Have a family style breakfast at Mama’s Farmhouse before heading out for some watery fun at Dollywood’s Splash Country. Give your group a treat by celebrating the rich heritage of the Smoky Mountain logger with an evening of “axe-tion” packed fun at the Celebration! A Spectacular Dinner Show. 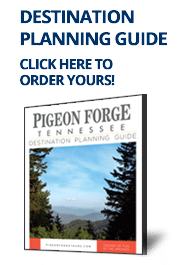 Start the morning with breakfast at your accommodation then head off to The Island in Pigeon Forge! Towering 200-feet tall, the Great Smoky Mountain Wheel sits at the foot of the most visited National Park in the United States. as center piece of The Island, it stands as one of the tallest attractions east of the Mississippi. Pack a picnic basket and enjoy some outdoor fun at Patriot Park together.